Remember, the National Fire Protection Association code requires an annual inspection of fire extinguishers by a licensed fire protection company. Integrity Fire Safety Services knows the NFPA code as well as you know your own address, plus all other applicable federal, Colorado and local Fire Departments’ codes. 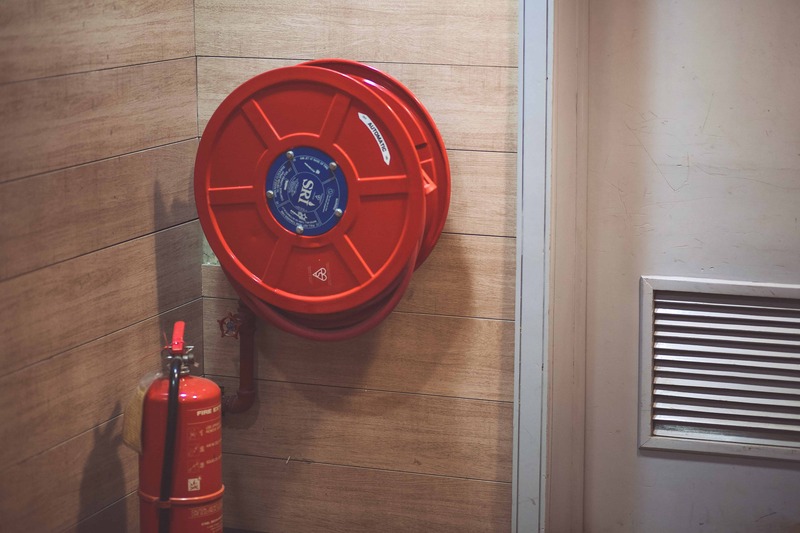 Our team has many years’ experience performing fire extinguisher inspections (among other types of inspections); we’ll make sure your company’s fire safety systems are up to code and protecting you fully. In between those annual certifications, building and facility managers should also do a monthly spot check, particularly where extinguishers are exposed to severe conditions or tampering/theft. This checkup doesn’t have to be a burden and after a short time, you’ll be able to quickly buzz through it! Is every extinguisher easy to see and grab? When a fire is growing, you don’t want to be pulling furniture or file boxes out of the way. Is every locking pin intact and every tamper seal unbroken? These are the pieces on the top of the extinguisher that ensure the handle isn’t accidentally pressed, causing the extinguisher to discharge which results in that extinguisher being down until it can be serviced (not to mention one heck of a mess to cleanup). Is the extinguisher in good condition? Examine the extinguisher for obvious physical damage (like cracked rubber in the hose), corrosion, leakage or a clogged nozzle. Is every pressure gauge showing the needle in the green zone? If the extinguisher is over or under pressure, it won’t work right and possible not at all. Is every instruction sticker facing outward (and in line with the gauge)? If not, this is a sign that the extinguisher’s internal threads might have a problem that can cause pressure loss. Check every unit for the last professional service date. If it’s older than 12 months, report it immediately and get it inspected. Initial and date the tag on the back so everybody can feel confident that every extinguisher is keeping them safe. Fire extinguisher visibility is vital! Is every extinguisher easy to see and in its designated location? Make sure extinguisher mounts are clearly marked so you can see it from anywhere in the room. Do you have enough extinguishers placed where they belong? Every building is a little different and offices need vastly difference placement than shop floors. Code says that extinguishers shall be placed at most entries and exits from a building or tenant space, and then within 75 feet of walking distance from each other. This ensures that the average citizen has the best chance of extinguishing a small fire before it spreads. Let Integrity Fire Safety Services help you design a placement plan that meets the needs of your building or any other fire safety system issues that may come up in your business. We offer expert consulting services, individualized customer training, and a vast knowledge base of fire prevention and fire safety. We can help you determine the best options for your commercial, retail or industrial fire extinguisher, sprinkler and alarm system.